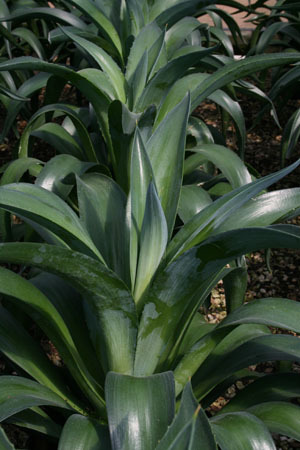 Agave desmettiana is a rosette forming succulent that has grey green leaves. The edges of the leaves are spineless but this Agave does produce a sharp brown spine at the tip, which can easily be clipped off in high traffic areas. Smooth Agave can reach 2-3′ has a spread of 3-4′ and will eventually form a clump with age. Great for Xeriscapes and for containers, providing the perfect accent with it’s urn shape.